Chinese people are likely to be on gold investment fever again as international gold prices have rebounded. Both the Chinese mainland and Hong Kong continue to experience a slowdown in spending on luxury goods, with a slowing economy dampening consumer confidence, according to Deloitte China. 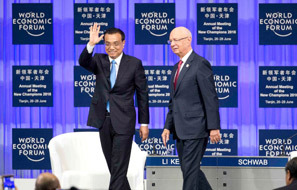 Premier Li Keqiang said he is optimistic about China's economy despite downward pressures and increasing uncertainties in the global economy. Direction of investment in agriculture, electric power, transportation, urban infrastructure and other major industries. With a total area of 26,600 square kilometers and a population of 11 million, Nanyang currently has jurisdiction over 1 city, 2 districts and 10 counties.